A three hour whale watching adventure departing from the old harbour in downtown Reykjavik. Sail into Faxafloi bay in search of minke and humpback whales, dolphins and harbor porpoises. 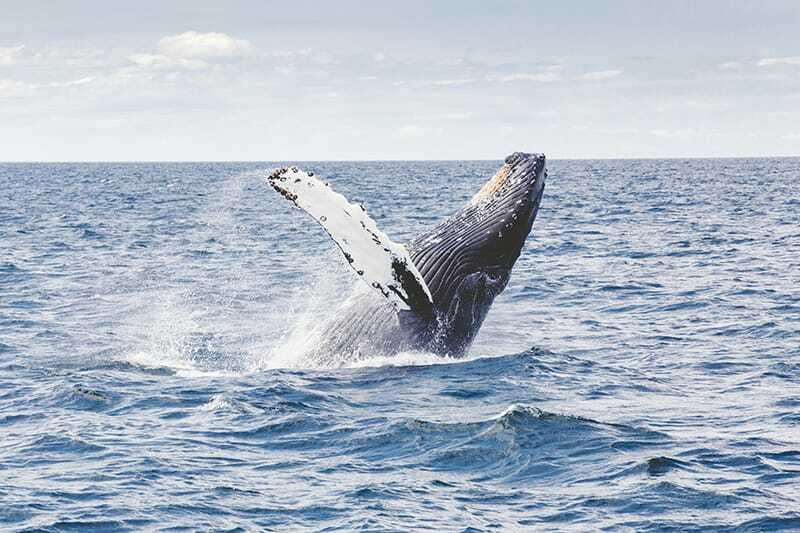 Experience one of the most popular day trips Iceland has to offer with our spectacular whale watching tour departing from the old harbour in Reykjavik. A three hour whale watching adventure departing from the old harbour in downtown Reykjavik. We sail into Faxafloi bay in search of minke and humpback whales, dolphins and harbor porpoises. On this tour you will also experience the spectacular views of the mountains and islands around Reykjavik as well as the wonderful bird life. On board we have warm overalls, heated spacious indoor cabins, a nice bar and free wi-fi. Our ship is warm and comfortable with a large indoor saloon. There are 3 outdoor viewing platforms well suited for Whale Watching. Those who want to visit the captain are welcome to do so. Iceland is one of the best places on earth to go on a whale watching tour. These magnificent creatures spend their days around the Icelandic shore as it’s full of fish for them to feast on. 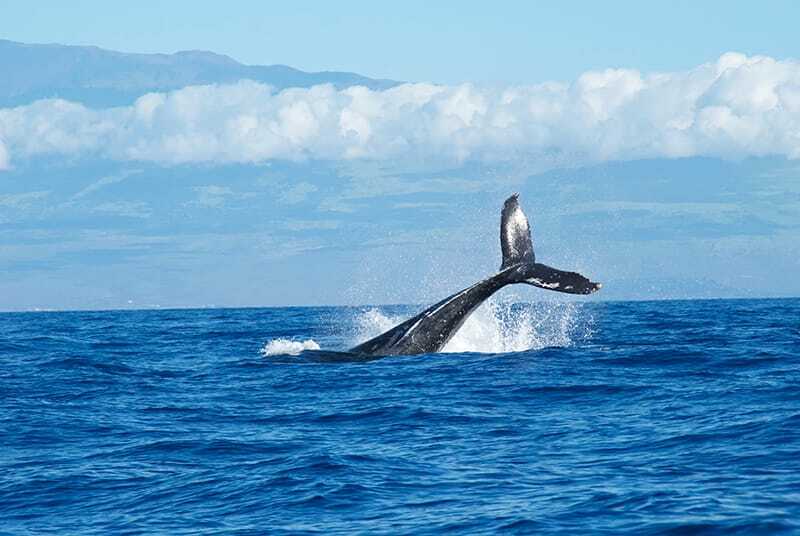 During a whale watching tour you can see a variety of animals. Species include Minke whales and Humpback whales as well as White Beaked Dolphins and Harbour Porpoises. You can see also see a wide variety of other aquatic species including all sorts of bird including puffins during the summer. A great addition is the sailing out like Icelandic fishermen and vikings, experiencing the beautiful scenery around the coast of Iceland. We sail out from the old harbour located in downtown Reykjavik. Once we exit the harbour we set sail towards the Faxaflói bay. We immediately start our search for whales and dolphins using specialised equipment and deep sea radars. We then sail back to harbour enjoying the views of the mountains and city skyline. Departures are subject to weather conditions and sightings cannot be guaranteed. We reserve the right to cancel the tour due to bad weather conditions, in that case you can either reschedule or get a full refund. Sandwiches, snacks, coffee, tea, beer and soft drinks available on board. There is also free Wi-Fi on board. Please be aware that due to environmental reasons during certain times of the year our trips may be delivered on a shared boat with one of our partners. We are committed to ensuring the environment is kept pristine by making sure fewer boats are on the water during slower periods. Please be at our departure point at least 30 minutes before scheduled departure. We recommend wearing good footwear and warm clothing. Bring your camera too.